What Do You Think Of Lamborghini Countach Style Wheels On A Huracan? Sacrilegious or a bold move? The Lamborghini Countach will forever be regarded as one of the greatest supercars (if not cars, in general) of all time. Dare anyone to argue otherwise. Carscoops first got wind of what Vossen Wheels has cooked up now and, well, there will be opinions on this. Yes, these are Countach style wheels on a Huracan. With a Vintage Rose color and fully polished with brushed face finish, this set of wheels isn’t an exact replica of what the Countach wore, but they’re pretty darn close. If it weren’t for the Vossen "V" emblem in the center, it would be easy to mistake them for the real deal at first glance. 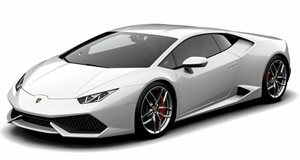 So these forged wheels, more or less, accurately replicate Lamborghini wheels of the 80s, but do they work on a modern Huracan? Not so sure. While the Countach had edgier and flatter surfaces than the Huracan, the circles in the wheels offered sort of a nice balance. The Huracan, by contrast, has softer wedge styling, and its stock wheels work well with that. For Huracan owners looking for a retro look, these Countach-style wheels could work well. Or, maybe it’d be best to leave the past alone, and instead find a used Countach. Less really is more when it comes to a V10 Lambo.